EL PASO — When U.S. Border Patrol agents here apprehended more than 300 people in two separate instances one day last month, it was unclear how long the record crossings would continue. That question was partially answered Tuesday after agents in the El Paso sector apprehended more than 400 people in less than 24 hours — part of a trend that's seen an average of 570 apprehensions a day in the sector over the last month. The influx has put such a strain on federal detention facilities that the city’s Office of Emergency Management was considering converting a municipal park into a staging ground for about 150 immigrants Tuesday after they were released by federal officials. Ruben Garcia, the director of the Annunciation House, a local shelter, said they're usually able to provide housing at one of the organization's shelter spaces when they're notified by Immigration and Customs Enforcement and told how many immigrants to expect. If space isn't available, Garcia and his volunteers search for hotel space to ensure the migrants don't end up on the streets of El Paso. Tuesday was a narrow escape — Garcia was able to secure hotel space and the park wasn't needed. But the incident has led the city council to consider calling a special meeting soon to address the issue. Of the record apprehensions over the last month, about 90 percent happened in El Paso's city limits, the Border Patrol said in a statement. Border Patrol agents in the Rio Grande Valley have also seen a surge in illegal crossings — The (McAllen) Monitor reported that agents apprehended 1,000 people in one day last week — and have started releasing migrants with notices to appear before an immigration judge. 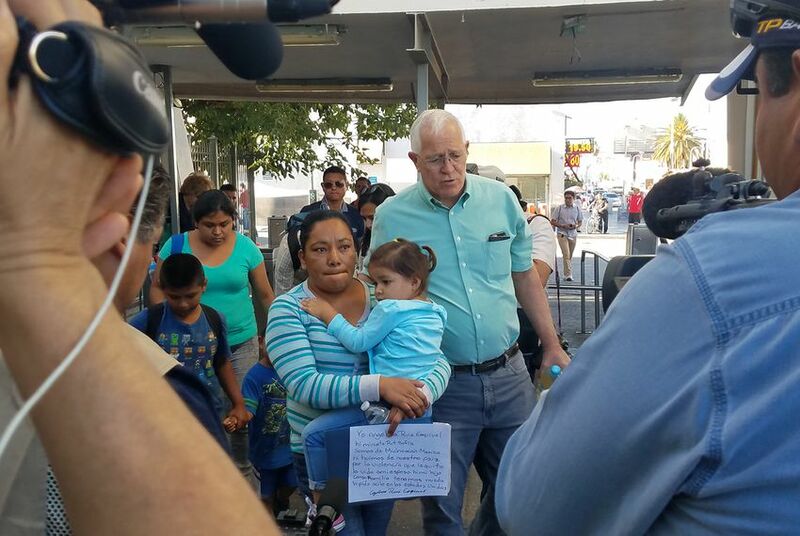 On Wednesday, Garcia said the shelters need more help from the city to prevent immigrants — many of them Central Americans who are seeking asylum in the U.S. — from being released with no place to go. He's also asking the city to provide volunteers to help the migrants make arrangements to travel beyond El Paso. The volunteers at the Annunciation House are stretched too thin, he said. “Over the past five months we’re already approaching a million dollars in expense just for the hotels, that’s not sustainable for us,” Garcia said.